Human CD47, His Tag (CD7-H5227) is expressed from human 293 cells (HEK293). It contains AA Gln 19 - Pro 139 (Accession # NP_942088). Human CD47, His Tag on SDS-PAGE under reducing (R) condition. The gel was stained overnight with Coomassie Blue. The purity of the protein is greater than 95%. Immobilized Human SIRP alpha, Fc Tag (Cat. No. 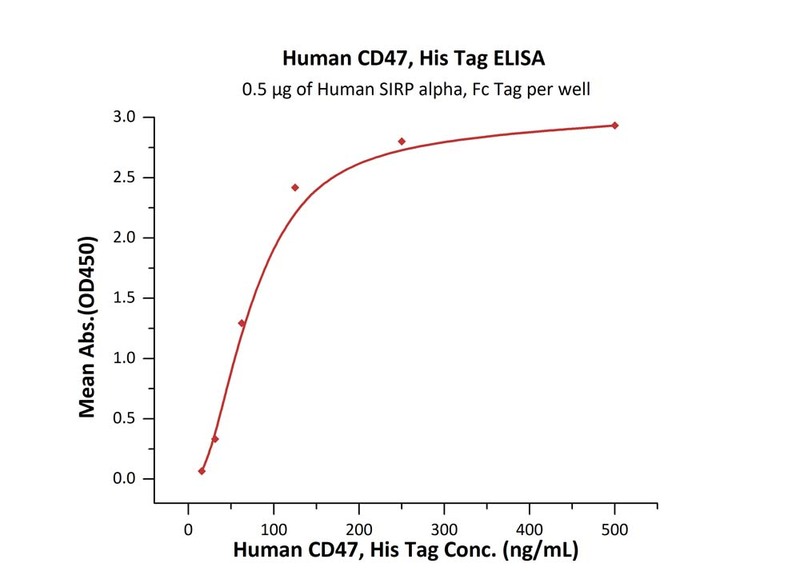 SIA-H5251) at 5 μg/mL (100 μL/well) can bind Human CD47, His Tag (Cat. No. CD7-H5227) with a linear range of 2-13 ng/mL (QC tested). 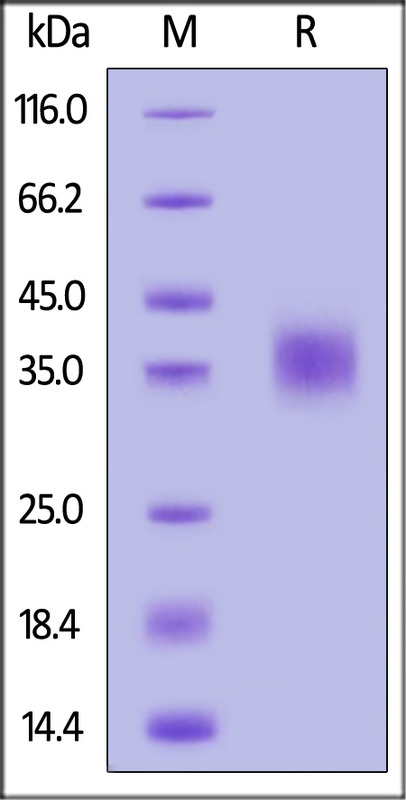 Immobilized Anti-CD47 MAb, Human IgG4 (clone 5F9) at 2 μg/mL (100 μL/well) can bind Human CD47, His Tag (Cat. No. CD7-H5227) with a linear range of 0.4-3 ng/mL (Routinely tested). 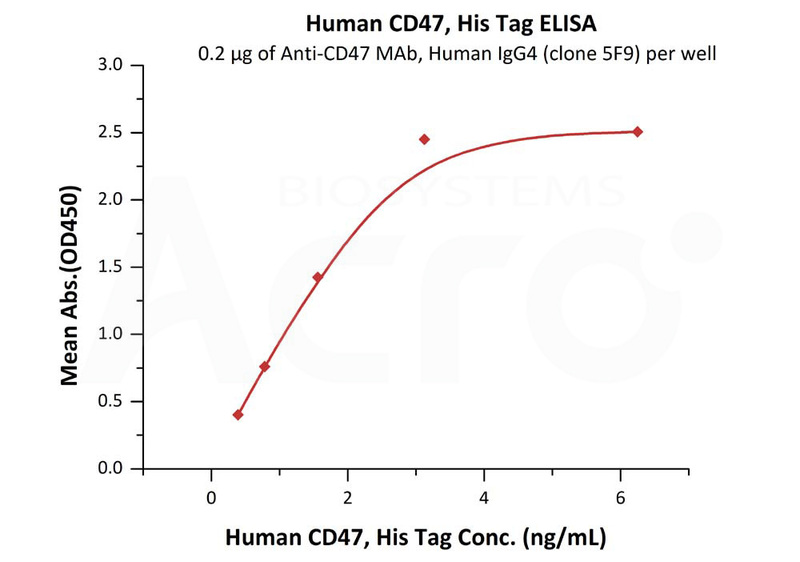 Anti-Human CD47 MAb (Human IgG4) captured on CM5 chip via Anti-Human IgG Fc antibodies surface, can bind Human CD47, His Tag (Cat. No. 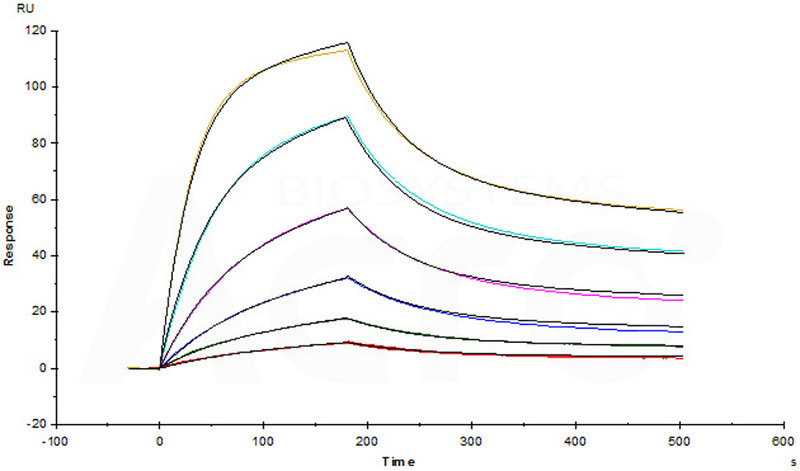 CD7-H5227) with an affinity constant of 1.66 nM as determined in a SPR assay (Biacore T200) (Routinely tested). Authors: Manning Pamela T, et al. Authors: Yu XY, et al.